At Hopeworks, our web team develops quality interactive websites for our clients. Our recent accomplishments include Reconnect Brooklyn, an organization that provides young men with the tools to become successful as they build job skills and reconnect them with education. Prior to working with Hopeworks, Reconnect Brooklyn was dissatisfied with their Squarespace experience so they approached Hopeworks Web for a crisp, clean WordPress website. 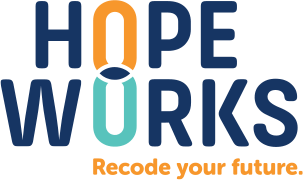 Using the strength of their visual photographs, Hopeworks Web created a website that mirrors the strength of the incredible community of Recconnect Brooklyn. Similarly, another organization, University Research Strategies, was in need of a strong web presence. They approached Penji, a design agency, for the visual designs and Hopeworks Web for the WordPress build. Hopeworks Web created an interactive experience for URS visitors to learn more about the company and its team of experts. Check out these two websites and see how we’re helping these organizations meet their business goals.